Creating angel fish are wonderful because of their colors, shapes and sizes! I created this French Angel by drawing it with the sewing machine. 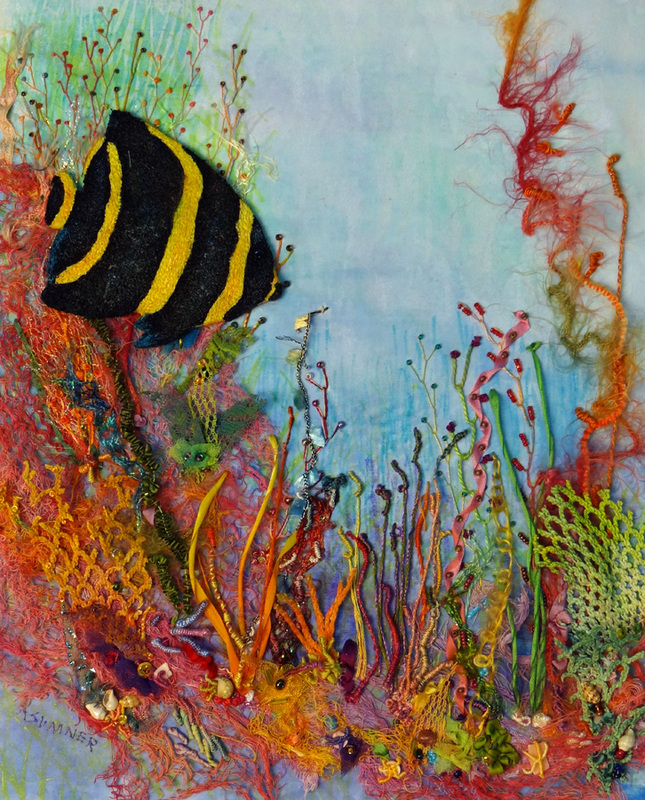 I re-created ocean reefs to remind us how precious our oceans are and how we need to be more conscientious about protecting them. This art piece has found a home in Illinois.